You can create your personal slice of paradise by transforming your master bathroom into a spa like environment. You won’t have to travel and can escape to tranquillity in your home as often as you are able to. Keep reading to find ideas from Builderscrack for turning your master bathroom into your own at home spa retreat. Whether you are a stay at home parent, a busy working professional, a tradesperson or even retired, you’ve probably got a lot on your plate. Juggling the demands of modern life with friends, family, work deadlines or community involvement is stressful. So it’s unsurprising that New Zealanders are spending a lot of money on spa and resort type holidays to give them some ‘me’ time. While it’s always refreshing to travel and see new places, or even escape to the other side of town over the weekend, finances and practical considerations can prevent us from being able to do so. Let’s look at some ways you can bring the spa to your home. A relaxing soak in the bath is bliss. Today people seem to be in a rush and prefer to use showers as the fastest way to get clean. The pleasure of enjoying a long bath has fallen out of popularity. Adding a whirlpool bathtub to your master bathroom will allow you to indulge in a relaxing soak whenever you feel like it. 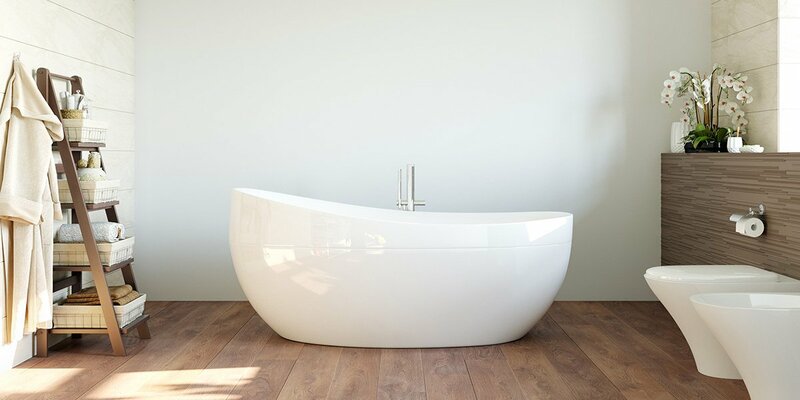 Modern baths have many features and luxuries not seen in previous years. So if you are thinking narrow, cramped bath, think again! Remember to hire a Master Plumber through Builderscrack to ensure the installation is done correctly. Fancy a sound system in your bathroom? Music is a fantastic way of adding relaxation and calm to your life. Consider extending your existing home sound system or installing a specialised bathroom system. This will let you listen to your favourite tunes when you’re getting ready for work or wanting to unwind before bed at night. Remember that electronics and water can be dangerous. Hire a registered electrician through Builderscrack to make sure it not only sounds great, but it’s safe as well. Use neutral shades like blue, tan or creamy whites when creating a peaceful space in your master bathroom. It doesn’t need to be a major painting and decorating job. Sometimes a few touches of your favourite shade on a feature wall maybe all you need to set the mood. If you want a change from painted walls, consider glass mosaic tiles, wallpaper and stone or go one step further and mix and match options! If you want a completely new look, then hire an interior designer. 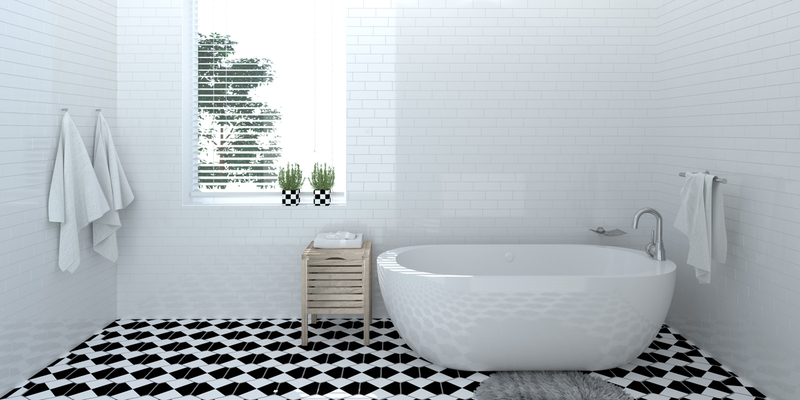 They can help you imagine and implement a theme for your master bathroom. 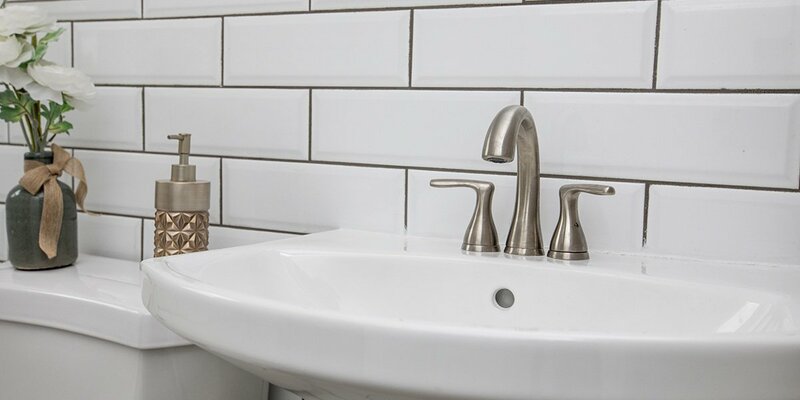 Visit Builderscrack on Pinterest for more inspiring bathroom ideas. It’s easy for the bathroom to get cluttered with it being used every day. Before long, the surfaces can become covered in towels, hair and make up products and other personal-care items. If you don’t have built-in storage solutions or shelving in your master bathroom, and it isn’t practical to add any, then think about how else you can make your bathroom not only look good but be organised as well. Baskets can be used to store clean towels. Cabinets can be hung on the walls to hide away products. Buying a vanity with built-in storage and providing a basket for used towels are also great ideas. Led lights are becoming increasingly popular for all rooms of the house including bathrooms. It’s time to get rid of very bright fluorescent lighting and replace it with something soft. This can be a simple as replacing existing light bulbs with new ones. Or you could even install a dimmer switch in the bathroom. Hire a registered electrician to consult on the best lighting solutions for your bathroom. You don’t necessarily need a large budget or lots of space to create a spa like master bathroom that is relaxing, beautiful and calming. Hire professional tradespeople and designers, then finish off with scented candles, some essential oils, or good bath salts, and you’ll be relaxing in your own slice of paradise just a few footsteps from your bedroom.